In a previous post, Mr Newdick's Miner's Right was shown, as having been issued on 15th August 1867 - 150 years ago today. 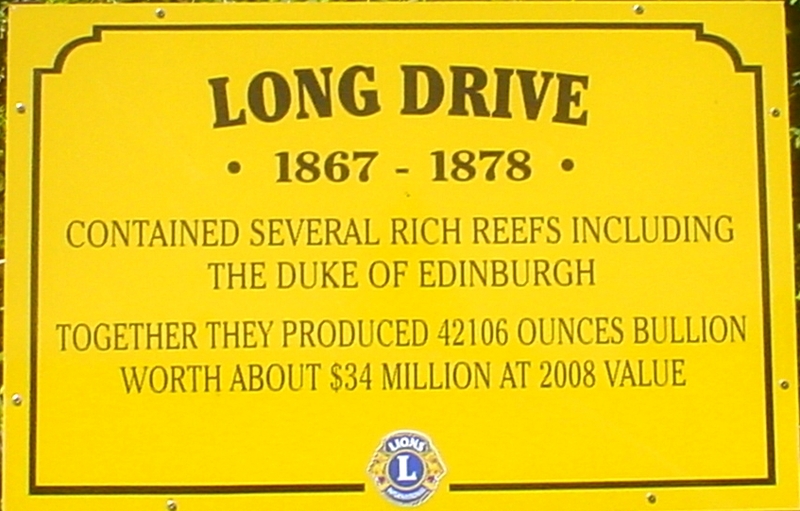 Ironically Alfred Newdick came close to being a member of his friend William Hunt's party who found gold at the Shotover Watercreek 10 August 1867. Over the years many old miners shared their stories about their first few years on the Thames Goldfield, Mr Newdick among them. 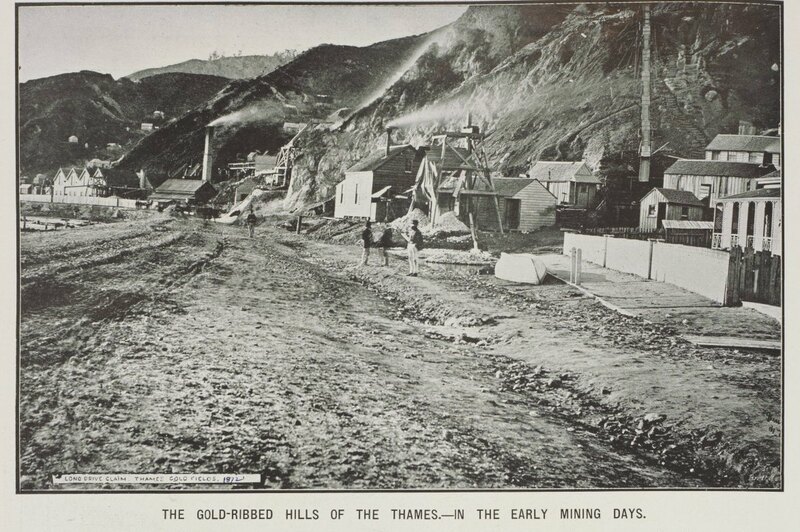 In the Thames Star 17 May 1926, Alfred recalled his early days on the goldfield. 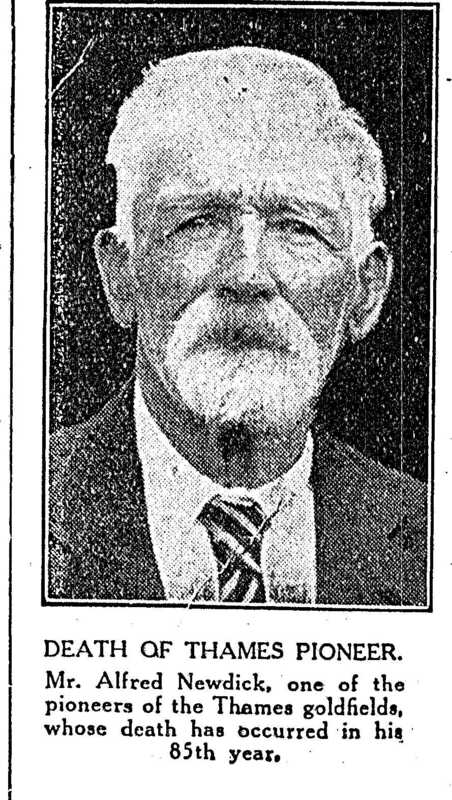 At the time he was aged 80 and living at Herne Bay. Alfred spent 45 years mining at the Thames, stretching back to before William Hunt “made the sensational discovery that acted as the signal and started the rush of thousands of prospectors who had but one mark before them – gold!" 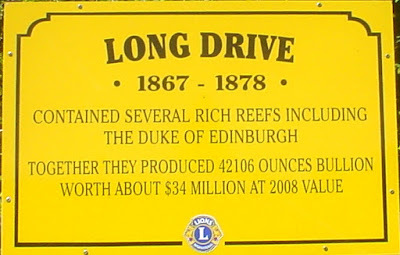 On another occasion, Newdick was to chance upon a find on the crest of the Kurunui Hill. He picked up a piece of quartz in the area and was amazed to find it studded with gold. They found the leader above the mouth of the Moanataiari Tunnel. The men covered their find of rich picked stone and proceeded in haste to the Warden’s office where six new miner’s rights were registered. Stories like this were common on the field. Men who either made and lost a fortune many times over, or those like Newdick who made great find's but for a variety of reasons moved on too soon. Only later to hear that their claim had turned into an economic success.